Pascha Services на русском языке! 27 Апреля- Великая Суббота 23:30-Полуночница с чтением канона перед плащаницей и Пасхальная Утреня. 28 Апреля-Светлое Христово Воскресение. ПАСХА! Освящение куличей после Божественнои литургии. Our Journey to Pascha has Begun! ☦️ Join us as we prepare for Great & Holy Pascha! *Click on a Tab Above to Learn About our Parish! We warmly invite you to visit St. Vladimir Church for services! Our wonderful priest is Fr. Volodymyr Chaikivskyi. EVERYONE IS WELCOME! ДОБРО ПОЖАЛОВАТЬ! Meet us for adult Bible Study classes in the church basement on the 2nd & 4th Wednesday of every month at 7pm. 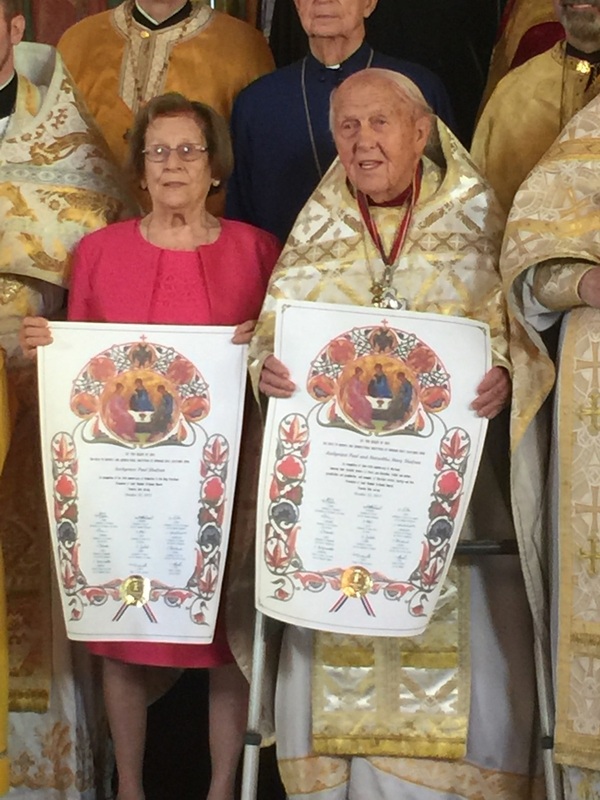 Congratulations Father Paul & Matushka Mary on 70 years of marriage & ministry!! Congratulations faithful servants of our parish! Many years!! Happy Birthday 🎂 Father Volodymyr! Please visit our Parish Life Tab to see fun photos of this special day!! St. Vladimir Church IS NOW more accessible to all! Enter from the street level to go directly to the church...no steps!! Donations to the installation & maintenance fund will be gratefully accepted. *Visit our Media Tab to see photos of Archbishop Michael blessing our lift!